Hi shop owners. Thank you very much for joining me on this edition of Car Count Daily. 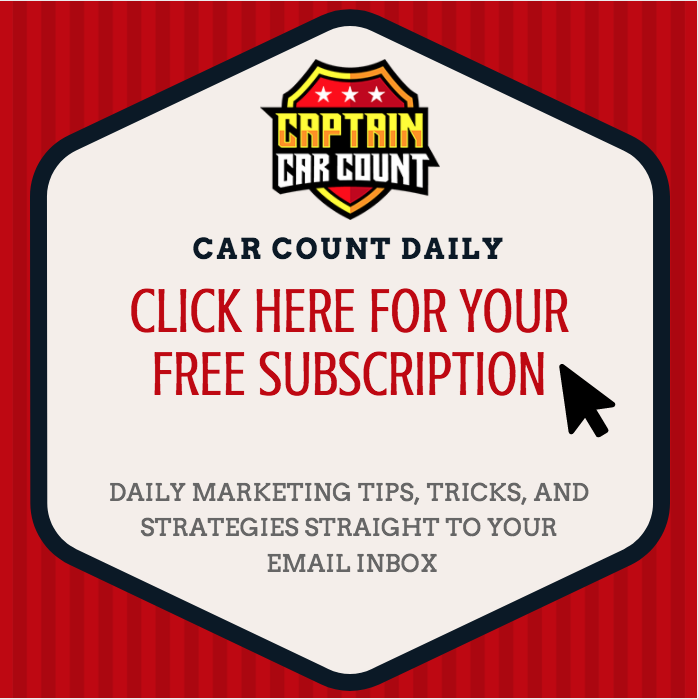 My name’s Ron Ipach, but you can call me Captain Car Count because that’s all I’ve done for the past 20+ years, is help thousands of auto repair shop owners, just like you, to get and then keep all the top-quality customers that your shop can handle. For today’s Mindset Tuesday, I urge all of you to follow the dreams you had when you first started in business and opened your auto repair shop. You may have doubters who will try directly and indirectly to convince you that you can’t succeed in your business. However, the difference between those who are successful, and those who aren’t, is that the successful ones never gave up. Those who have given up will attempt, time and time again, to damage your mindset, and harm your business. It’s your mission to PROVE THEM WRONG.